Zac Rhyner enlisted in the U.S. Air Force on May 31, 2004, and completed basic training as an Honor Graduate at Lackland AFB, Texas, in August 2004. A1C Rhyner next attended Combat Control Team training at Lackland AFB (Combat Control Orientation Course); Keesler AFB, Mississippi (Combat Control Operator Course); Fort Benning, Georgia (U.S. Army Airborne School); Fairchild AFB, Washington (U.S. Air Force Basic Survival School); Pope AFB, North Carolina (Combat Control School); Hurlburt Field, Florida (Special Tactics Advanced Skills Training); Fort Bragg, North Carolina, and Yuma Proving Grounds, Arizona (U.S. Army Military Freefall Parachutist School); and Panama City, Florida (U.S. Air Force Combat Divers School) between August 2004 and January 2007. SSgt Rhyner has served as a Combat Control Team member with the 21st Special Tactics Squadron of the 720th Special Tactics Group at Pope AFB since January 2007, and he has deployed numerous times in support of the War on Terrorism. 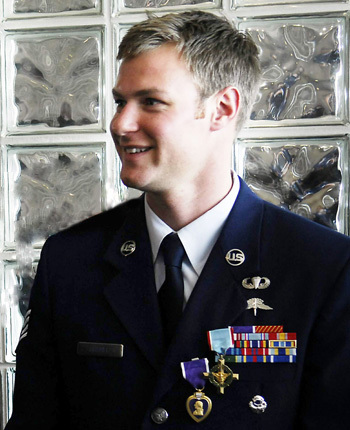 The President of the United States of America, authorized by Title 10, Section 8742, U.S.C, awards the Air Force Cross to Senior Airman Zachary J. Rhyner for extraordinary heroism in military operations against an armed enemy of the United States at Nuristan Province, Afghanistan on 6 April 2008. 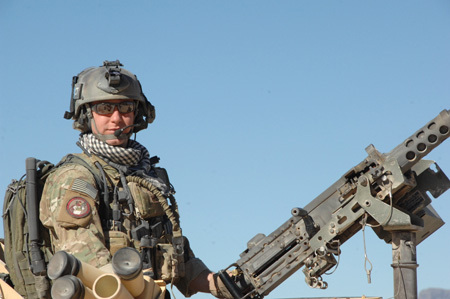 On that date, while assigned as Special Tactics Combat Controller, Airman Rhyner executed a day rotary-wing infiltration with his Special Forces team to capture high-value insurgents in a village on the surrounding mountains. While climbing near vertical terrain to reach their objective, the team was attacked in a well-coordinated and deadly ambush. Devastating sniper, machine gun, and rocket-propelled grenade fire poured down on the team from elevated and protected positions on all sides, immediately pinning down the assault force. Without regard for his life, Airman Rhyner placed himself between the most immediate threats and provided suppressive fire with his M-4 rifle against enemy fire while fellow teammates were extracted from the line of fire. Airman Rhyner bravely withstood the hail of enemy fire to control eight United States Air Force fighters and four United States Army attack helicopters. Despite a gunshot wound to the left leg and being trapped on a 60-foot cliff under constant enemy fire, Airman Rhyner controlled more than 50 attack runs and repeatedly repelled the enemy with repeated danger close air strikes, several within 100 meters of his position. Twice, his actions prevented his element from being overrun during the intense 6 and a half hour battle. 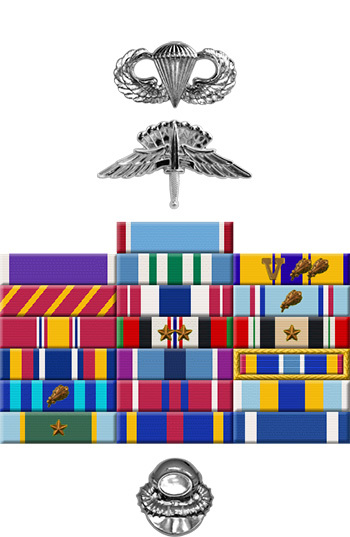 Through his extraordinary heroism, superb airmanship, and aggressiveness in the face of the enemy, Airman Rhyner reflected the highest credit upon himself and the United States Air Force. SRA Rhyner in Afghanistan in 2008.